There are two basic types of spiders, web spinners and wandering spiders. Tarantulas are wandering spiders, spending most of their time on the ground, in burrows, under rocks, inside tree hollows, and in other protected places. Most wandering spiders have hairy legs and bodies. The hair is very sensitive and helps them find their way along the ground locating prey. They have to look for their food, so they require good eyesight. 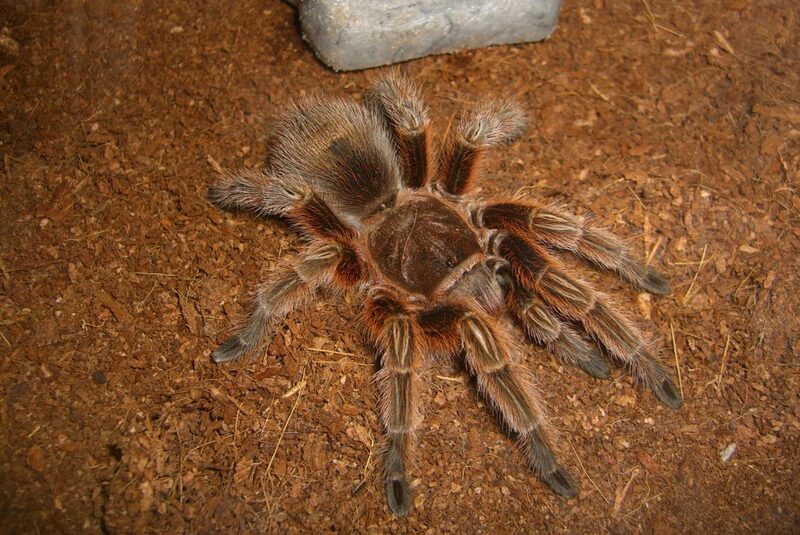 Our Zoo tarantulas have two claws on each foot and between them is a pad of hair. The claws give them a firm grip for walking on slippery surfaces. Wandering spiders hunt in different ways. Some stalk insects, some climb trees, and others dig burrows to hide from their prey. There are also spiders that “fish” for prey, by diving underwater to kill fish, and one that catches prey by spitting on them. Spiders are the most important predators of insects. They help keep gardens healthy by protecting plants and controlling insect populations. Tarantulas are the most docile and easiest to handle spiders. They are venomous spiders, but do not carry enough venom to kill a person. However, some people may be allergic to their venom. 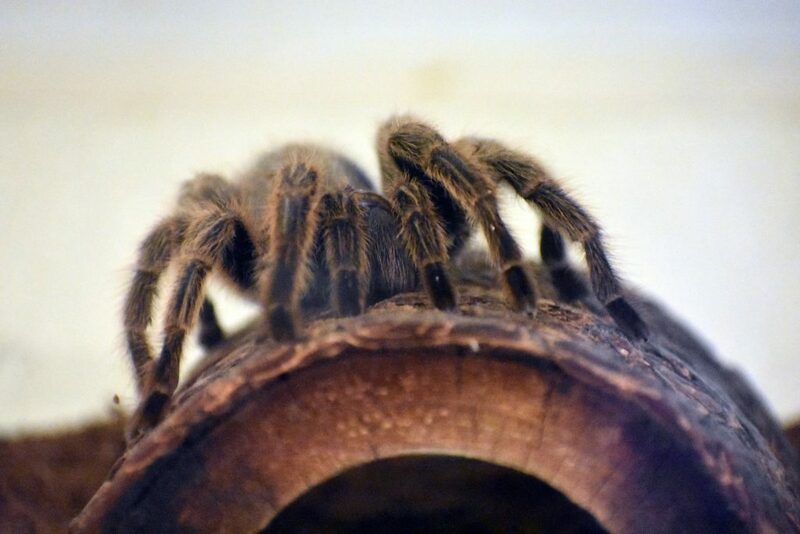 No human is ever known to have died of a tarantula bite.